We're now living in San Antonio, Texas! 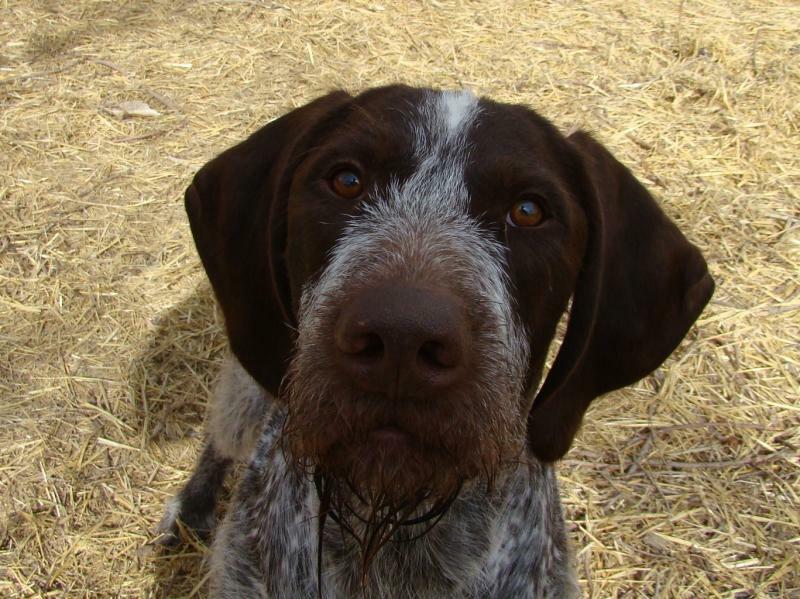 In 1999, when we got our first German Wirehaired Pointer, we lived in Idaho, so we decided to call our kennel "Idawire" for Idaho German Wirehaired Pointers. Since then, we've lived in South Dakota, Wyoming (for over 8 years) and Washington. And, now we've moved to San Antonio, Texas! Tom is looking forward to hunting the wide open spaces of South Texas, and he's also made plans to return to Wyoming and South Dakota for some fall hunts. 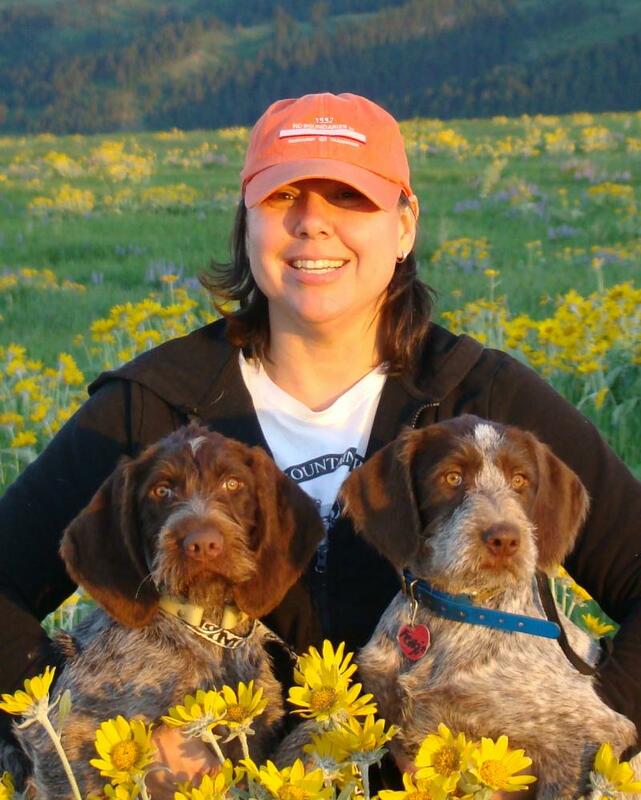 When we got our first German Wirehaired Pointer in 1999, Tom wanted a good hunting dog, but Jodi thought Tom's new dog should be a show dog, too. We looked at the different sporting breeds and so many of them were "split" into "hunting lines" and "show lines." 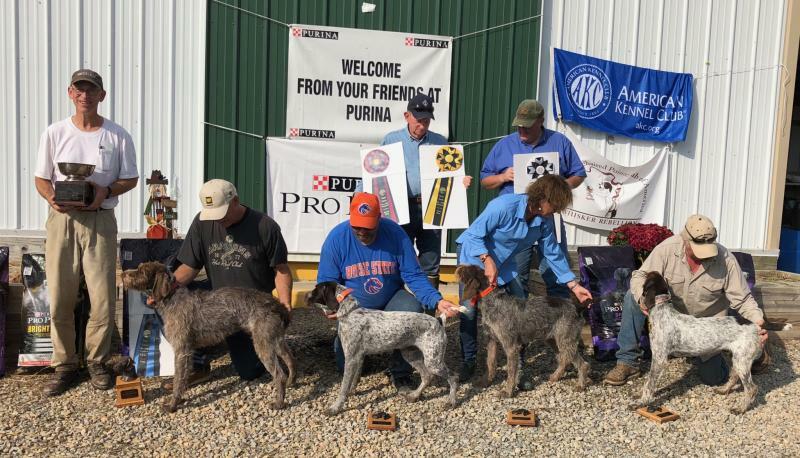 But, when we started reading about German Wirehaired Pointers, we were impressed with how many of the show dogs were competing in field trials and hunt tests, while still being competitive in the show ring. 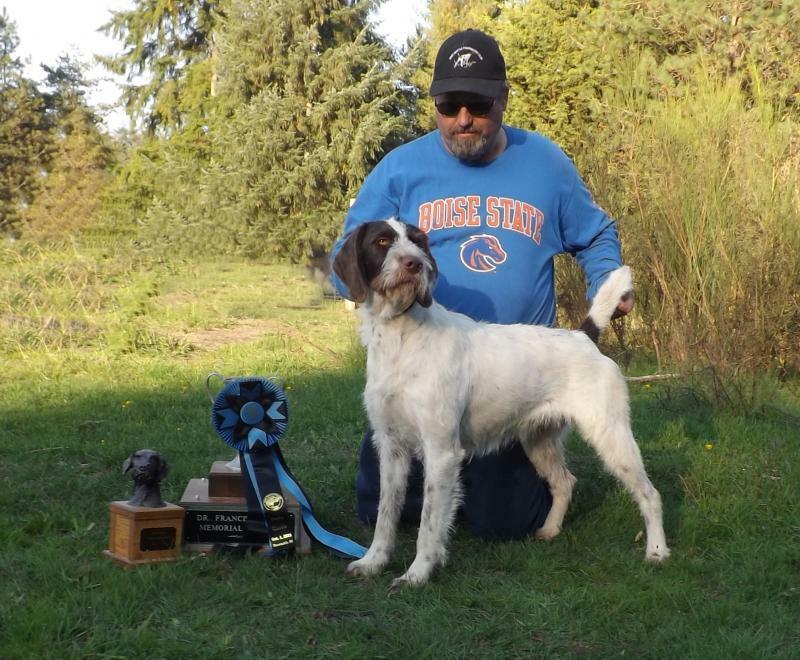 So, we started our search for a good GWP that could do both--dog shows and hunting. We found a breeder with a show champion that had been bred to a dual champion (a field champion and a show champion) and decided that a puppy sired by a dog that was both a field champion and a show champion should be a good hunting dog and still be a good show dog. 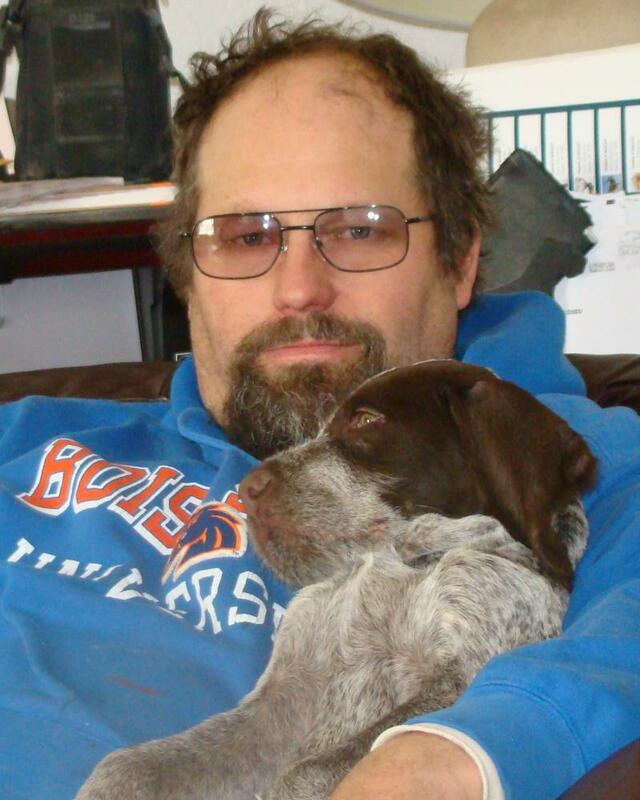 And, that is how we ended up with our first German Wirehaired Pointer--Cruiser. 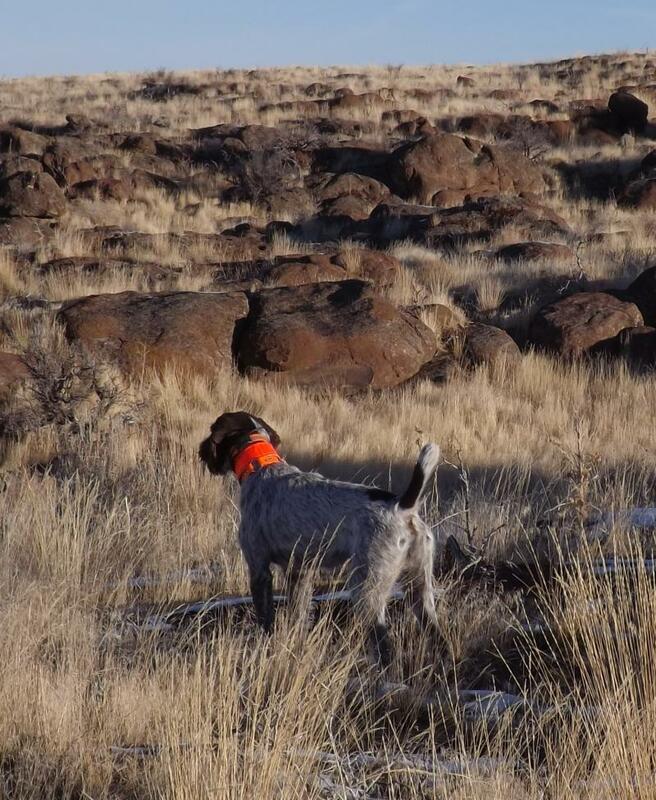 Tom spent the first year with Cruiser hunting the sagebrush desert of Southwestern Idaho, and decided he hadn't had enough fun with Cruiser, so started competing in field trials and hunt tests in the spring. 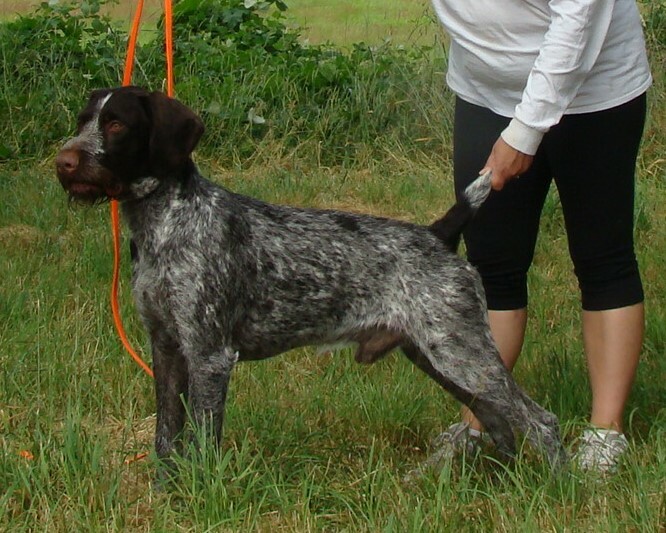 We also decided that we loved the breed, and got our second GWP, a female named Zoie. Cruiser and Zoie both eventually became Dual Champions (show and field champions) and these two outstanding dogs were our start in German Wirehaired Pointers. 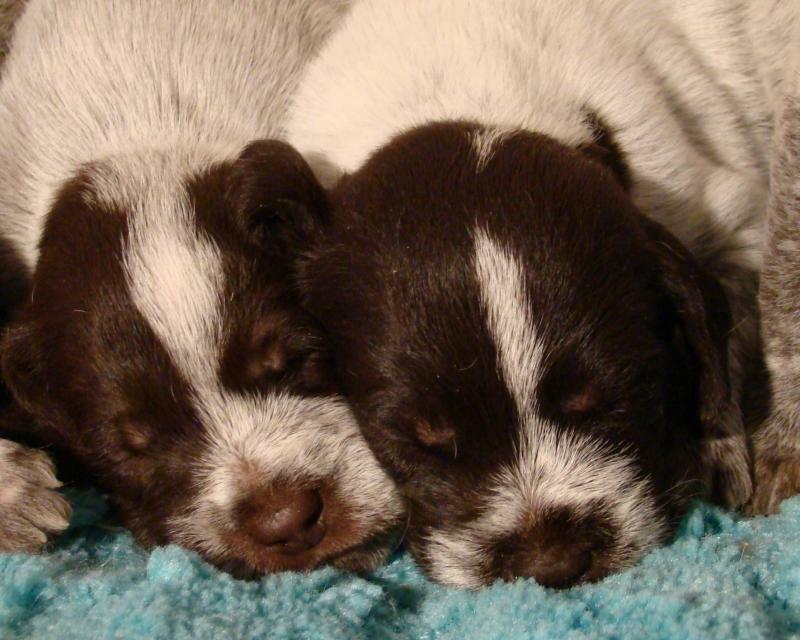 All Idawire GWPs go back to either Cruiser or Zoie, and many have both Cruiser and Zoie in their pedigrees. 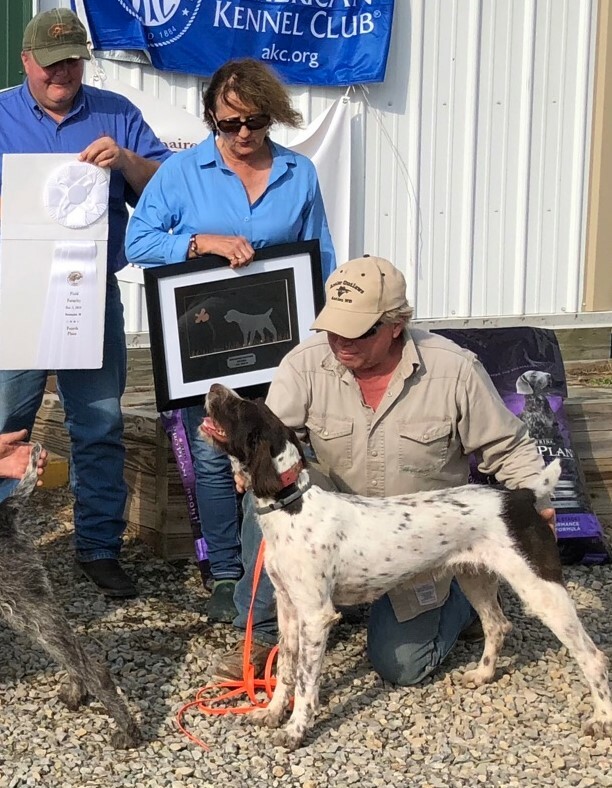 Jodi still competes with GWPs at dog shows, and Tom still hunts, so when we breed a litter, it is important to us that the pups have the potential to be great hunting dogs and great show dogs. We feel it is important to take dogs to shows to see how their form and temperament is compared to other GWPs. Tom hunts all over the West, including South Dakota, Wyoming, Idaho, Montana, Oregon, Utah and Washington. He enjoys hunting different types of country, and spends a lot more time hunting than the average hunter. Tom still judges field trials and hunt tests and he's seen hundreds of dogs work in the field, and he has trained dogs to hunting titles. 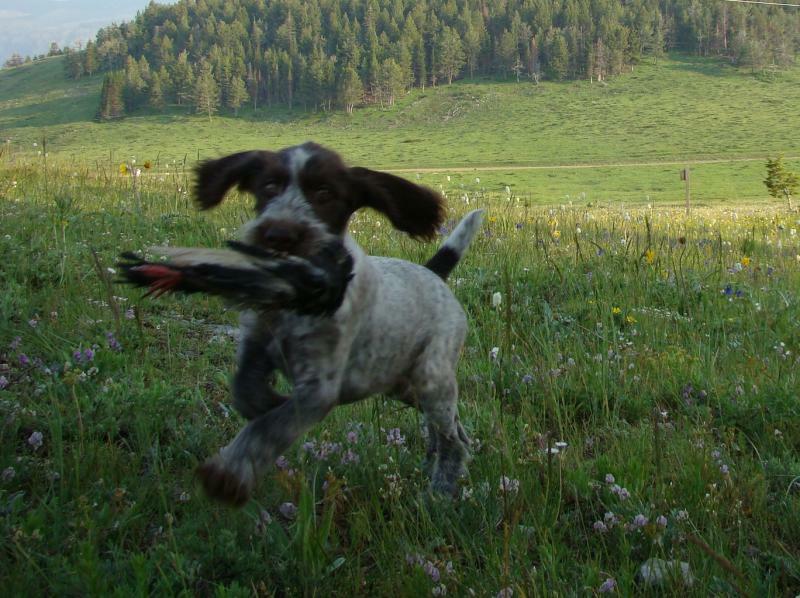 This experience is very valuable in evaluating hunting dogs. 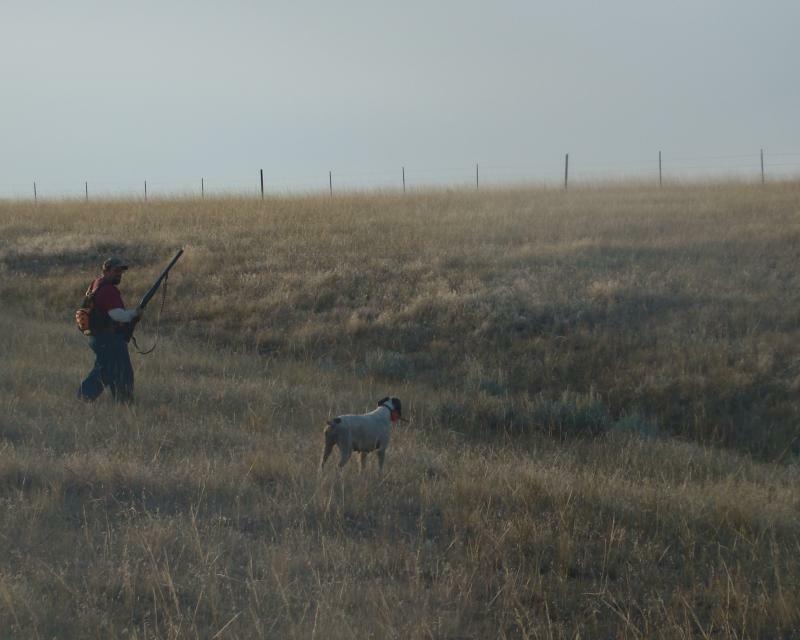 We have had some very pretty dogs Tom declined because they didn’t perform at a very high level while hunting. Jodi has rejected some excellent hunting dogs that didn’t measure up in the ring. 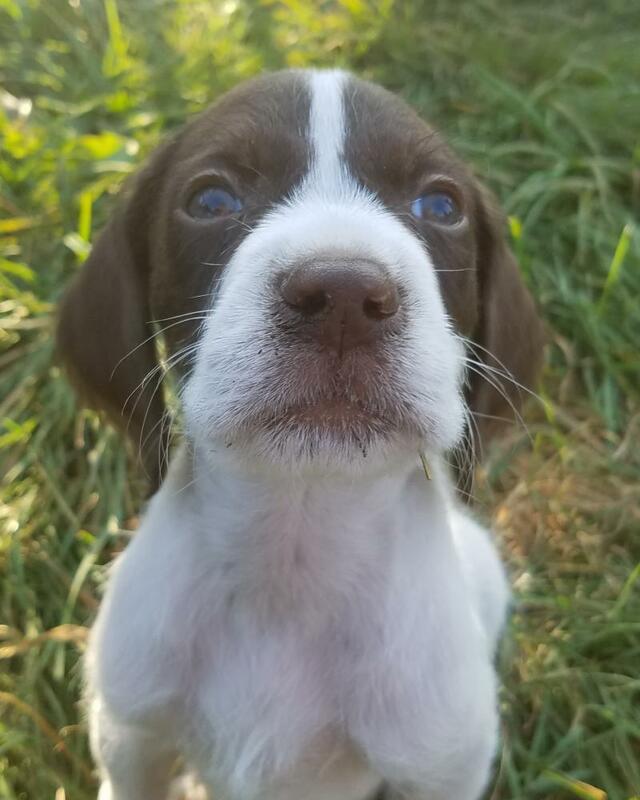 A beautiful show dog that doesn't hunt, or a super hunting dog that doesn't look like a GWP will not be part of our breeding program. We also expect any dog bred by us to have a solid, stable temperaent--neither shy or aggressive dogs are allowed. 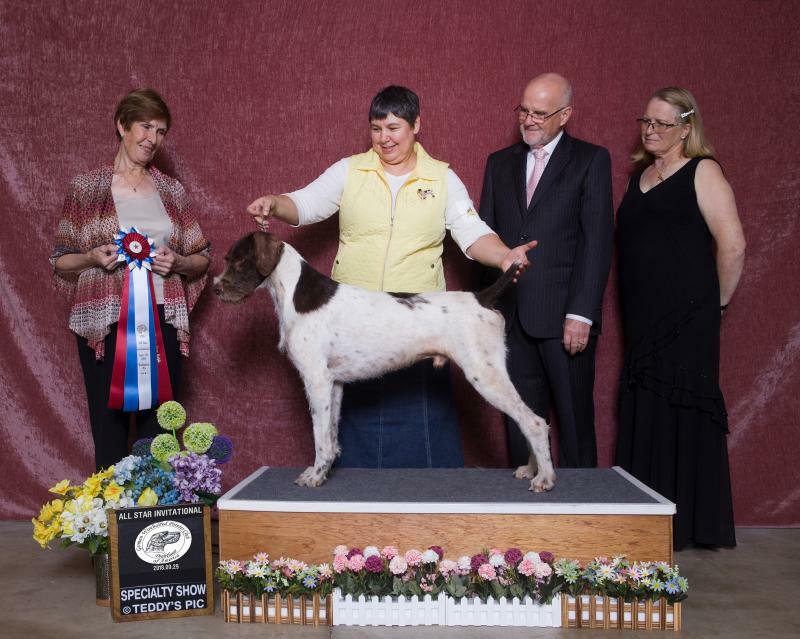 A GWP should be confident in the field and the show ring, AND in the home, where most of our dogs spend the majority of their time. A dog that doesn't meet our standards for hunting ability, temperament and conformation will not be included in our breeding program. This is a very unique situation for breeders because seldom are dogs required to meet all these requirements just to be part of a breeding program. We think there is no reason to hunt with an ugly dog. Idawire at 2018 GWPCA Nationals! We have a lot of promising youngsters right now, and they did us proud at the 2018 GWPCA Nationals! Mavis--Idawire Young Adult, owned by Bruce and Sue Mueller places 4th in both the Derby and the Futurity! Ralphie--DC Idawire King Ralph, wins the All-Star Invitational! Check-out all of our Youtube Videos! Our Youtube Page has lots of videos of puppies from our previous litters, videos of our adults and youngsters hunting, and fun videos of the dogs hiking, playing and just having fun!